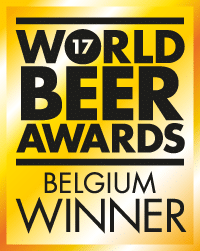 All in all Houblonde is an exceptional premium beer, awarded at the World Beer Awards in London in 2017 as “Belgium Winner” in the category Belgium’s most innovative specialty beer, even before it was officially launched! Being recognized as an innovative beer is one thing, but we also wanted to confirm the excellence of its taste by registering it at the Superior taste Award of the International Taste Quality Institute (iTQi). 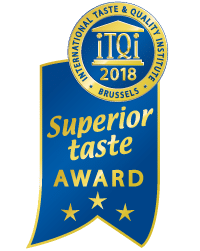 The “Superior Taste Award” is a unique international recognition, based on blind tests by 175 starred chefs and sommeliers renowned worldwide in taste. The products judged ” notable tasting ” get one star, the “remarkable” receive two and the “exceptional” are awarded three stars. We are therefore very proud to announce that the Houblonde beer has obtained 3 golden stars at the “Superior Taste Award”, which is the highest distinction! *. 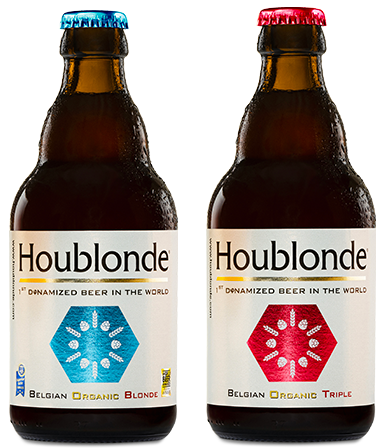 Houblonde is all the power of nature to enhance the taste. * Awarded by the profession of starred chefs and sommeliers of Europe, the “Superior Taste Award” is a unique international recognition. Products are tested on a strictly blind basis by 175 European starred Chefs and Sommeliers who classify the intensity of their gustative pleasure taking into account the general taste qualities of the product, its aromas, texture, flavor, mouthfeel and other relevant organoleptic criteria. ITQi’s evaluation procedures are supervised by the Belgian Ministry of Economic Affairs.